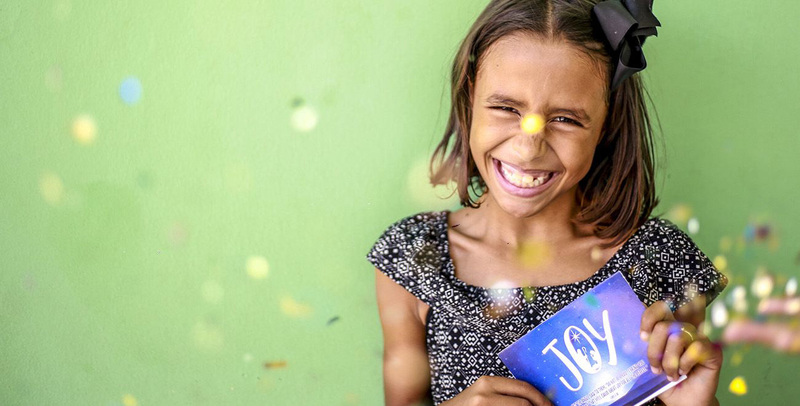 We’re less than three months away from Christmas and that familiar Compassion email has probably already arrived, reminding you to go online and write a Christmas card to your sponsored child. Before the panic sets in over what to write in a Christmas card, here are our top tips and suggestions. 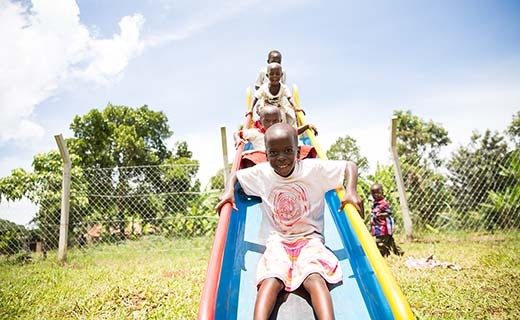 As much as you want to know about the life of your sponsored child, they are eager to find out as much as they can about yours! Now is your opportunity to share your highlight of the year and give them a glimpse of your life. What made 2018 a great year? Share it with your sponsored child! For example: The best thing that happened to me this year was when I went to the beach with my family, it was so special. What was your favourite moment? 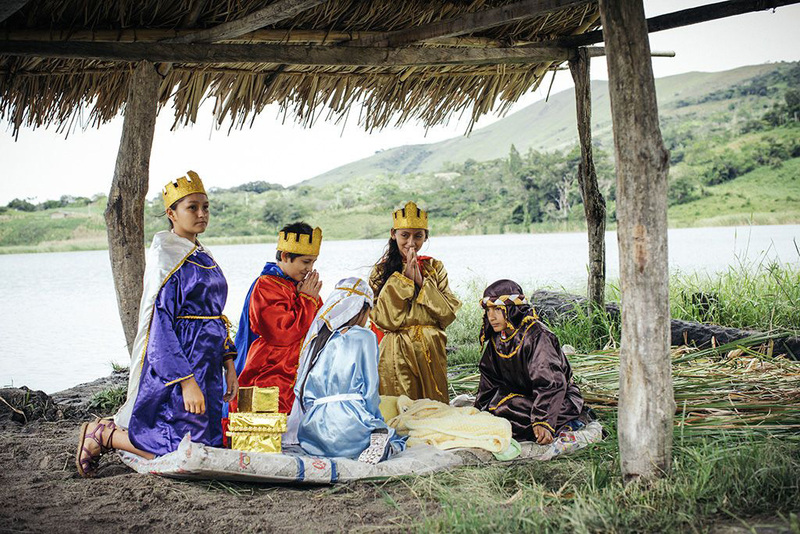 Christmas is celebrated in different ways around the world. For example, in rural Mexico some families carve radishes into nativity scene figures! Every family also has special traditions. Do you watch Christmas movies? Sing Christmas carols standing around the piano? 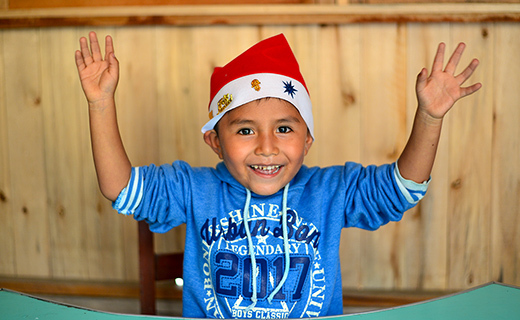 No matter how you celebrate, your sponsored child will enjoy hearing about your plans for Christmas Day. For example: On Christmas Day, I attend church with my family and then we spend the afternoon playing games. Our Christmas lunch is a roast chicken with potatoes and lots of other vegetables. How does your family celebrate Christmas? 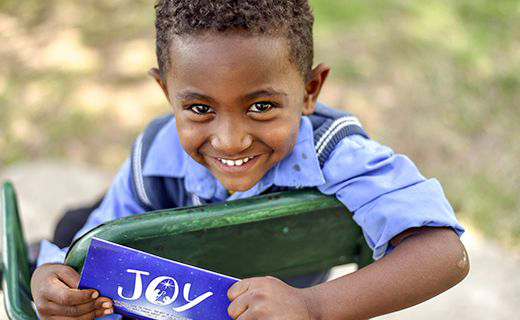 Share a prayer you have for your sponsored child for the new year. It can be something really simple, but that doesn’t make it any less important. 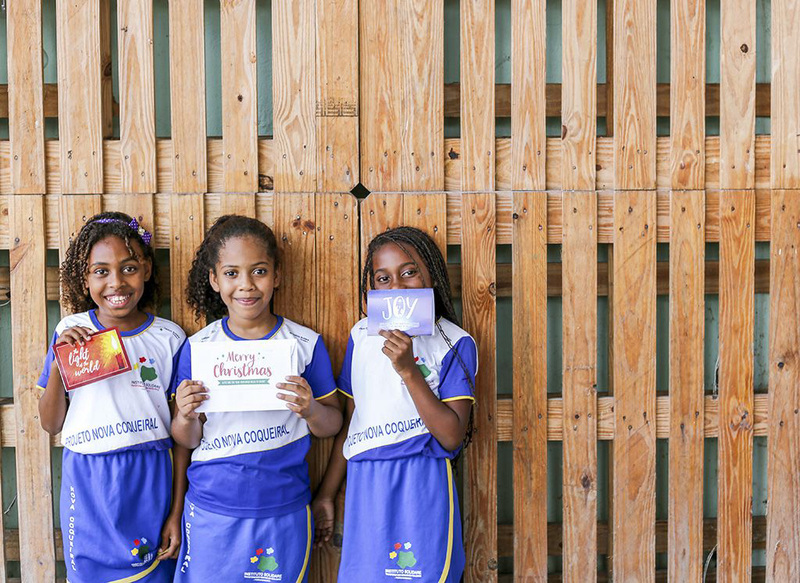 Your sponsored child treasures your prayers, but also the opportunity to pray for you, so let them know what they can pray for. For example: I pray you’ll grow in your love for Jesus this year and that he’ll direct your steps. Can you please pray that I will grow in wisdom this year? Isaiah 9:6 For to us a child is born, to us a son is given, and the government will be on his shoulders. And he will be called Wonderful Counsellor, Mighty God, Everlasting Father, Prince of Peace. Matthew 1:21 She will give birth to a son, and you are to give him the name Jesus, because he will save his people from their sins. Short on time? Here’s two Christmas card examples for you to use. Simply copy, paste and customise your message below. Sending you and your family lots of love this Christmas season. This year I will be celebrating with my family. Every Christmas we have a tradition that we spend time together making a Christmas fruit cake. This year I will be celebrating with__________________________. Every Christmas we have a tradition that we _______________________________. Happy Christmas! May you and your family know God’s love surrounding you as you celebrate together. 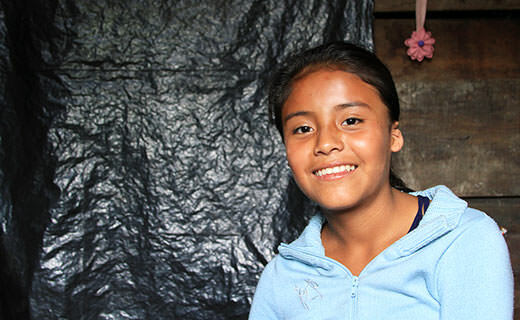 This year I am so thankful I’ve been able to sponsor you. I’m looking forward to getting to know you more in 2019. Sending you and your family a big hug. 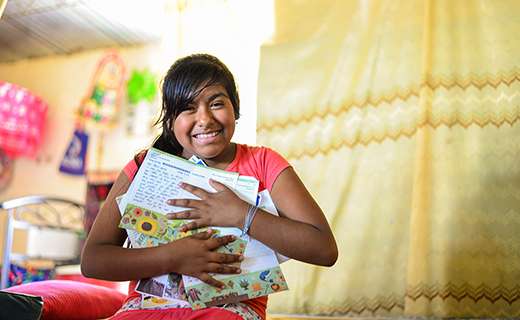 Your message will remind your sponsored child that they are loved and cared for—and the cards often become treasured possessions, kept for many years. 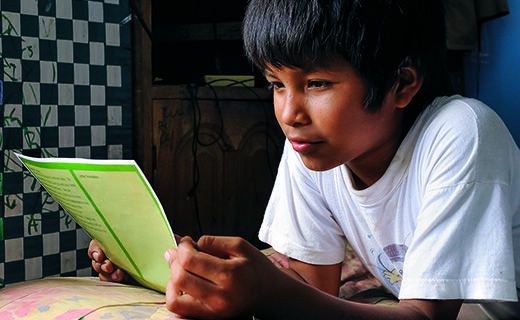 Write and send your Christmas card now so we can ensure your card is translated and delivered in time for Christmas. If you’d prefer to send your own card, please make sure we receive it by Monday 5 November, and don’t forget to write your child’s reference number and your Compassion reference on the back. 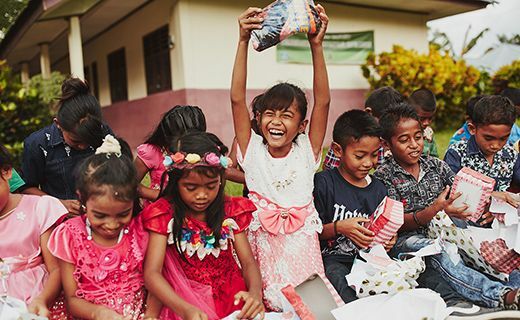 We’d also love to bless every Compassion-supported child with a gift, a delicious meal and time with their friends and family at a Christmas party where they’ll also hear about the birth of a Saviour who knows every child by name and loves them. 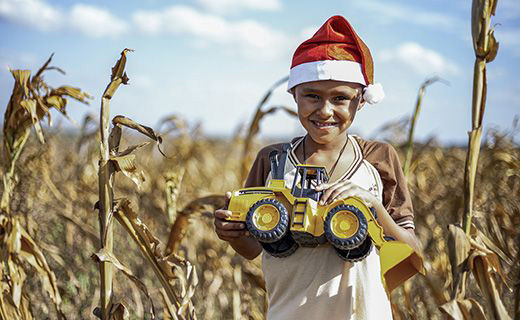 You can join us and make this Christmas one to remember for a child in poverty by donating to our Christmas Appeal. Congratulations on the presentation, ideas and set up of the Christmas website it is amazing. 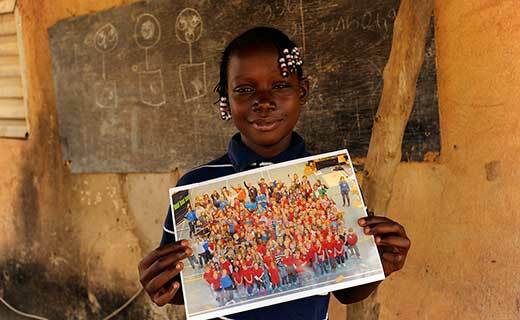 Because of my busy life I have already posted a Christmas card to my lovely sponsored child but very impressed. Join us in praying for fruit from this year’s Christmas messages.